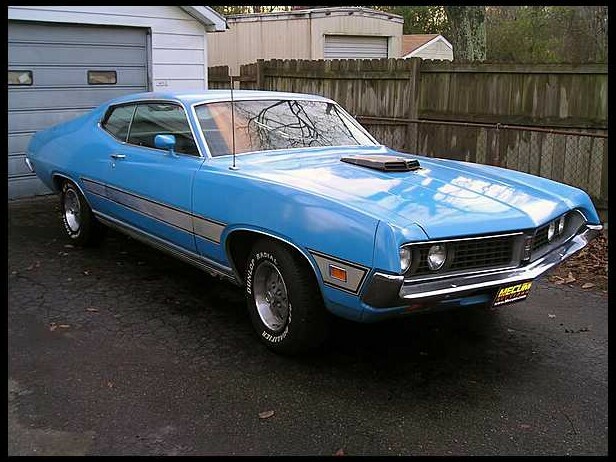 The muscle car era was about to end and Ford had the best looking ever Torino on its hands. There were 14 different Torino models available in 1971 and this GT is second only to the Cobra when it comes to sportiness and muscle. The ’71 Tornio GT was available as a convertible or this 2-door “SportsRoof” bodystle. Under the hood, the GT had Ford’s 4.9 liter V8 as standard. Ford’s competitor to the Torino was the Chevrolet Chevelle – which is far more popular among muscle car types and is generally more collectable. There are dozens of Chevelles at muscle car auctions but there aren’t nearly as many Torinos. This one looks good in light blue with the gray stripe and black hood scoop. Unless there is something I don’t know about this car (which is possible, the catalog description isn’t up yet), I expect it to bring no more than $35,000. For more info on the car, click here and for more on Mecum’s Kissimmee auction try here. This entry was posted in Uncategorized and tagged 1971, auction, car, classic car, ford, gt, mecum, muscle car, torino, torino gt by classiccarweekly. Bookmark the permalink.